When your yard is covered in a blanket of snow, the last thing you’re probably thinking about is the grass underneath it. That’s okay if you’ve prepped your lawn for winter weather. 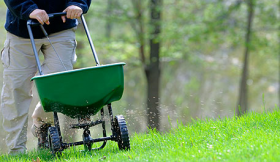 If you haven’t, your grass may not come back lush and beautiful in the spring. Visit CanadianGardening.com for the full article.